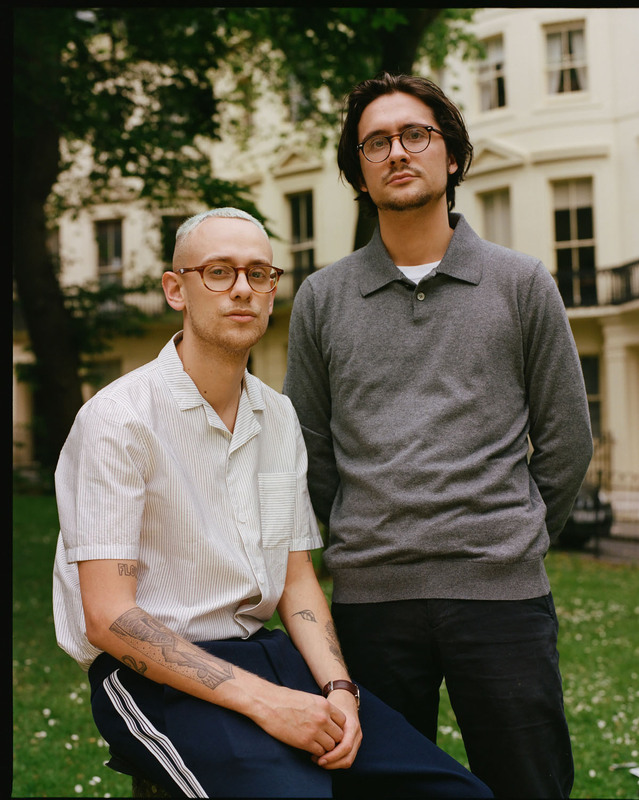 For their “The Lakes” EP Brighton duo Frankie Stew and Harvey headed over to the beautiful national park Lake District, staying in an old converted barn overlooking a lake, locking themselves in there for some day and making music. 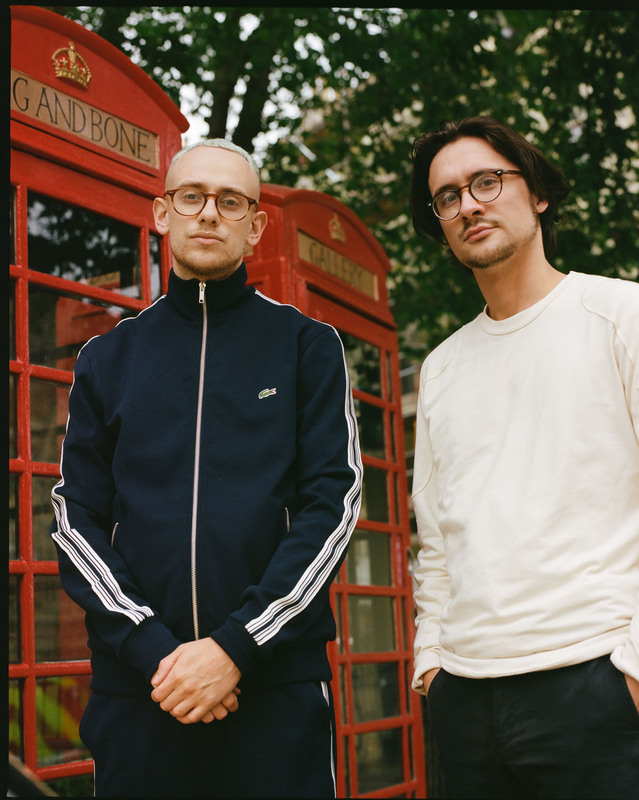 That ideas will just flow in this magical surrounding doesn´t surprise us and they have completely won us over with their super fresh and cool sound that is influenced by multiple genres including classic hip-hop, modern urban, UK garage and dance music. So while listening to the rad EP I tried to find out more about their trip to the nature, about how they felt when they first met each other and about their musical journey. Hey Frankie and Harvey, thanks for your time to answer a few questions. I am listening to your excellent EP ‘The Lakes’ right now which is out at the end of March. I love this raw and strong energy that the songs have. Also a bit melancholiac. One of my favourite tracks on it is Black Water. (Well, I really do love all of them!) What´s the main message behind this song – what is it about? FS: There isn’t really a specific message I’m trying to get across in Black Water. It’s more so what I was thinking about/how I was feeling at the time. I’m often just talking about my feelings and using them to express myself rather than send a message. What´s your favourite or most personal song on the EP and why? FS: Brother’s keeper is probably the most personal song to me off the project, I talk about things really close to home and I feel a type of way every time I listen to it. HG: My favourite has got to be Black Water. I think it perfectly encapsulates the head space and environment we were in when we made and I can’t ask for more than that. I wanted to take listeners out of their bedroom or morning commute and bring them to The Lakes. Most of it was written during your trip to Lake District. Did you get really inspired by the nature up there or what was it that triggered your song writing the most? FS: Yeah definitely, it’s always a good idea to step out of your comfort zone when writing music. Maybe comfort zone isn’t the right way to put it, but put yourself in new surroundings and you’ll get new ideas pretty much. HG: I think the change of scenery and lack of distraction really helped us get creative during our time there. We were in an old converted barn overlooking a lake and we basically locked ourselves in there for 4 days solidly making music. How important is the internet for you in terms of inspiration? And do you spend a lot of time on social networks? FS: Yeah it’s cool to check what other people are doing etc but I wouldn’t say I’d take that much inspiration from it; more so real life situations and things that happen to me. HG: It’s definitely important to me as it’s a big part of how I discover new music, art and anything else that (subconsciously or not) influences the music I produce. Social media is also a very powerful tool for artists these days, but one that you have to exercise an element of caution with. You two met when you were 14/15. What was your first impression of each other back then? FS: Yeah we’ve known each other for a while now! We probably knew a lot about each other before we met so it was good to finally link up and get things moving. We have pretty much been making music together since the first day we met lol. HG: My first impression of Frankie was that we had a very similar idea of the music we both wanted to create. You two are from Brighton. What means home to you? FS: The beach in the summer! Nowhere feels more like home to me personally. HG: Home to me means family and those select closest friends. I feel at home anywhere with them. In one of your older songs (Cold Man) you speak about the journey you have been going through to make music a full time career. What are the biggest challenges you have faced so far in that? FS: I think the main challenge we face even still now is the financial side to things, it would be a dream for me to make music full time and not have to work elsewhere but right now that’s not a reality. That’s my biggest challenge but I’m working on it! How do you keep yourself motivated when you experience a setback? FS: I’m luckily surrounded by a lot of good people that keep me motivated. I feel like listening to music also keeps me motivated you know, sounds weird but I might hear something I like and think you know what I can do this too. HG: I think having one to pick the other up and recover perspective when we fall is really important. We’ve also got a solid team around us that I find very motivational. What are you most excited about regarding your upcoming UK tour? And do you have stage fever? FS: I’m most excited about playing some of our new music on tour and seeing how it gets received. It’s my favourite stuff to date so it will be interesting to see how people react you know. HG: I’m really excited at meeting the fans. There’s no better way to connect with them than playing live. The nerves are definitely a thing but by the end of the first track I’m always fine.